Monitor how much work you deliver. 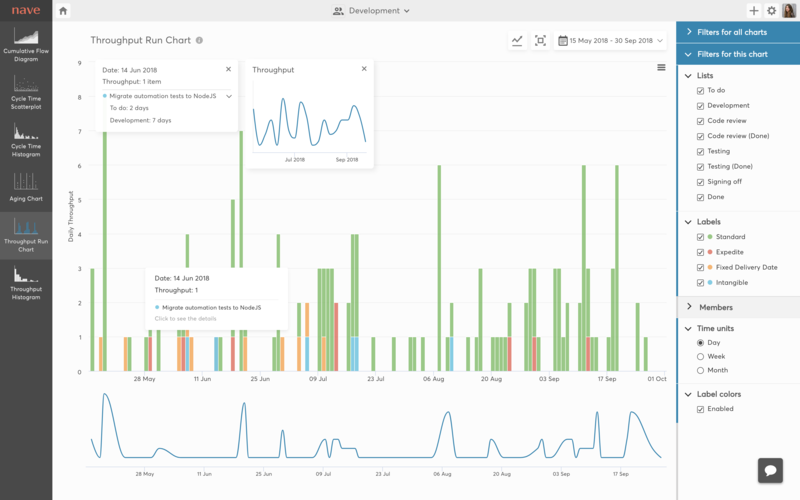 Track how trends build over time. 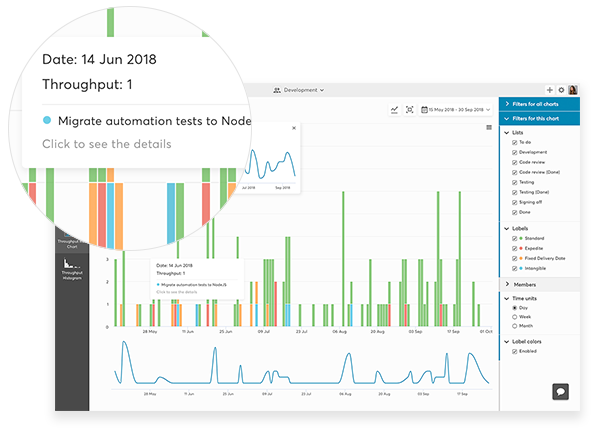 Tracking throughput helps teams proactively maintain a stable workflow. 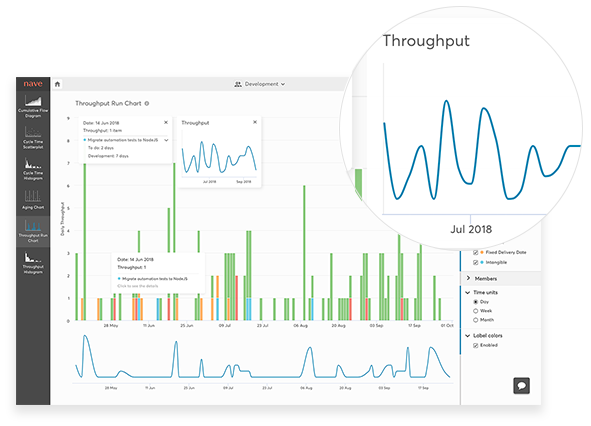 Throughput run chart by Nave is a great way to display the throughput of your team on a daily, weekly or monthly basis and compare its values over time. The closer the values are, the more stable your process. Pro tip: We recommend tracking your throughput weekly or bi-weekly to make sure you deliver in a stable and predictable manner. This chart overlay shows how much work has been delivered within the selected time frame in total. It also visualises how trends have developed over time. Ideally, the line should stay even or increase smoothly. Pro tip: Watch out for decreases in the throughput line! This indicates bottlenecks preventing your team from delivering consistently. The first thing to look at is your work in progress. Reduce the WIP limits and focus the team attention focus the team attention on the problem areas.